With the advent of the FreeSport TV Deal, and the giants recent appearance on the channel, David Welsh ponders on why the Giants dont get a wider remit on local media. Did you say to yourself, that’s a strange title? Although I doubt Churchill ever thought his words describing the state of Russia would ever be used to describe the relationship between an ice hockey club and local media in Northern Ireland but here we are and as strange as the title may be what I find even more strange is the reporting of local sport in Northern Ireland. Growing up I was aware of Ice hockey but that was just something the Canadian side of my family played and that was about as far as my interest went. I had no idea there was UK Ice hockey until the Giants came along, I’ll freely admit I was one of those people who for the first dozen or so years turned up to a game once in a blue moon and wouldn’t have had a clue how the team was doing season after season. In recent years I’ve been a ST holder and regularly follow all the news from the Giants but it did get me wondering what if all those years ago there was more attention given to the Giants in local news or sports reports would I have attended more games and gotten that bug for the Giants I have now? The Irish Premiership (NI football league) average attendance is 1137 people with one club averaging 357. To put this into comparison that’s like the Giants playing every game in front of a crowd that could comfortably fit in the west 4&5 mid/lower section between doors 12 and 14 with the rest of the arena completely empty and still getting media coverage. So here we go, back to that Riddle wrapped in a mystery inside an enigma, Why is local football so media exposed on TV yet the Giants are relatively ignored in comparison? Clearly it’s not a popularity issue, it’s not that nobody is interested in Ice hockey because with an average attendance of 3750 with some games getting over the 5000 mark it’s very popular locally. It got me wondering is it time for the local media to be covering the Giants on a more regular basis? Would a 10min highlights package grow the fanbase even more? Is there a desire from locals to see more hockey on TV? Well my answer is yes. We know our league is experiencing a big jump in popularity across the UK, the recent TV deal with FreeSports has started out with a right bang so far, an audience of between 80000 -99000 watched the recent Cardiff @ Nottingham game and that’s pretty impressive on a smaller sports channel. But is FreeSports the only platform we should be using to grow the sport here in Northern Ireland? I think not. Could you imagine how much more the Giants could do with a regular local TV time? Every home game gets a Giants TV highlights package, that alone could reach an audience of tens of thousands every week if it was picked up by BBC Sport NI or UTV Sport. Local media could expose the Giants to a whole new fanbase on their doorstep. There’s a dedicated fanbase who love this club who want nothing more than success for the club and would love to see 2-3000 more people at games. The Giants can only do so much with the limited resources available to a relatively unknown sport in the UK. But they’ve proven over the many years that they’re popular. In 2018 their message that In the Land of Giants Everyone is Equal should be heavily promoted by local media. I’m not saying to disregard local football in favour of ice hockey what I’m saying is the Giants have earned their spot in the hearts of the people of NI, and local TV should be proud to say it deserves more attention! The question to the TV broadcasters is simple, do you not think it’s time to pay a bit more attention to the very popular sport on your doorstep? Dave got in touch with us to share his thoughts by e-mailing us a KotG. If you’d like to get involved, please just drop us a line at articles@kingdomofthegiants.com . 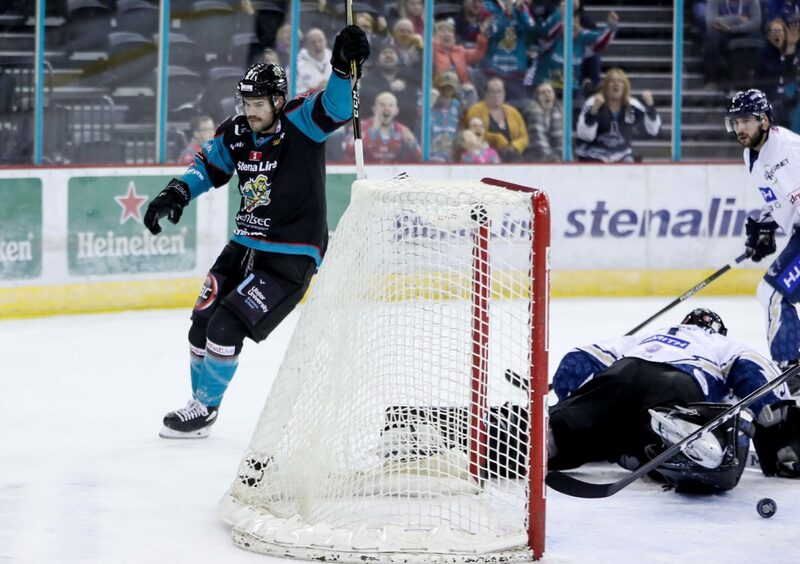 We want to be your platform for Belfast Giants and Hockey opinions. A site by the fans for the fans.